← HRSC: Mars impact crater or supervolcano? Sol 5053, April 12, 2018. 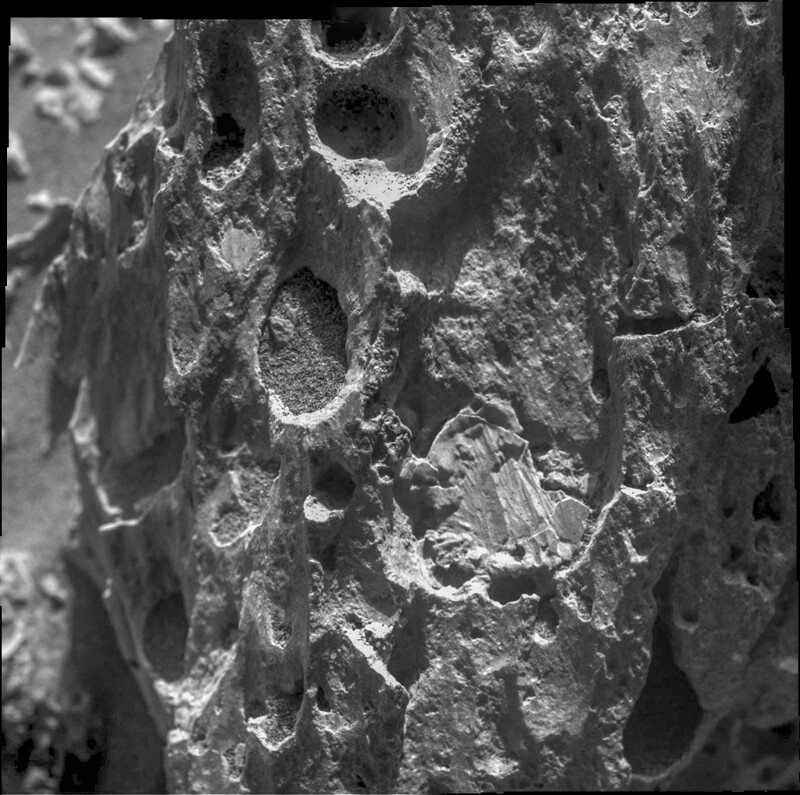 The Microscopic Imager moved in close for a 2×2 set of images on Nazas, part of the San Juan Pueblo outcrop. 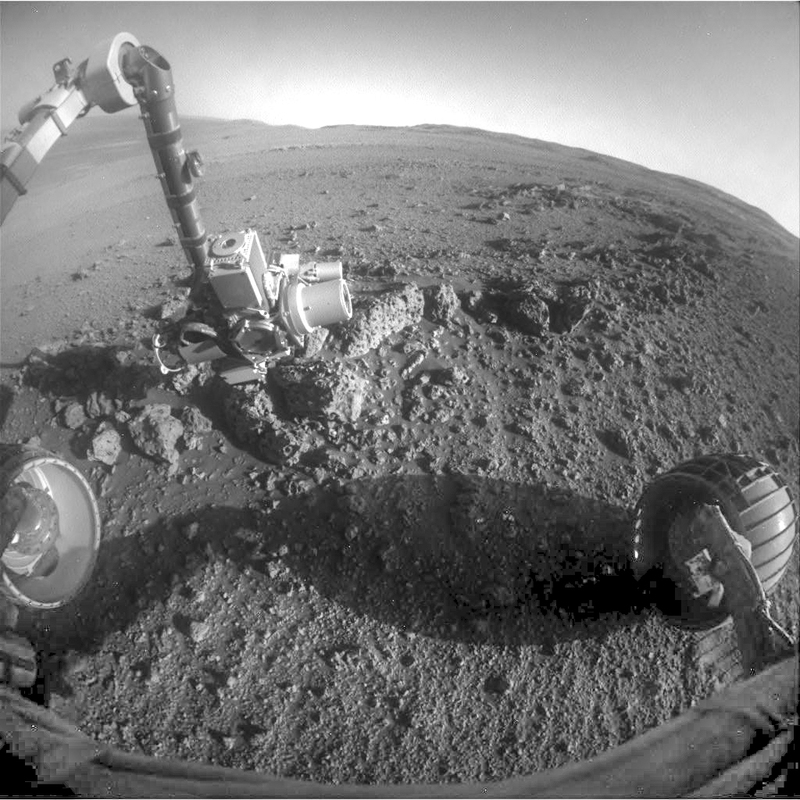 At right is the Hazcam view of the site, with Opportunity facing south. Click either image to enlarge it. This entry was posted in Reports and tagged Cape Byron, Endeavour Crater, Mars Exploration Rover, MER, NASA, Opportunity, Perseverance Valley, San Juan Pueblo. Bookmark the permalink.